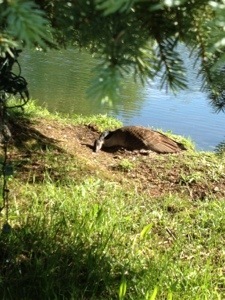 A peaceful start of the day until this goose starts making a racket. We snuck up her nest and was none to happy. Ah nature on a farm. 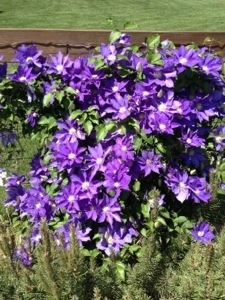 Oh and check out the clematis- full of blooms!